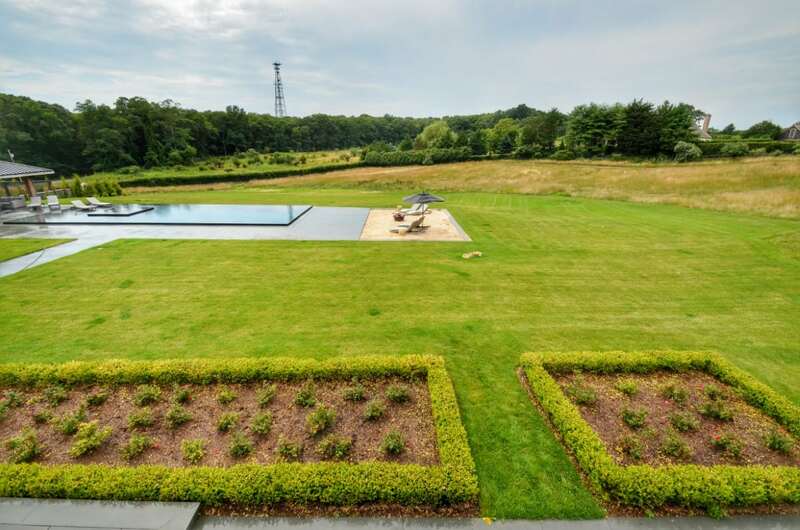 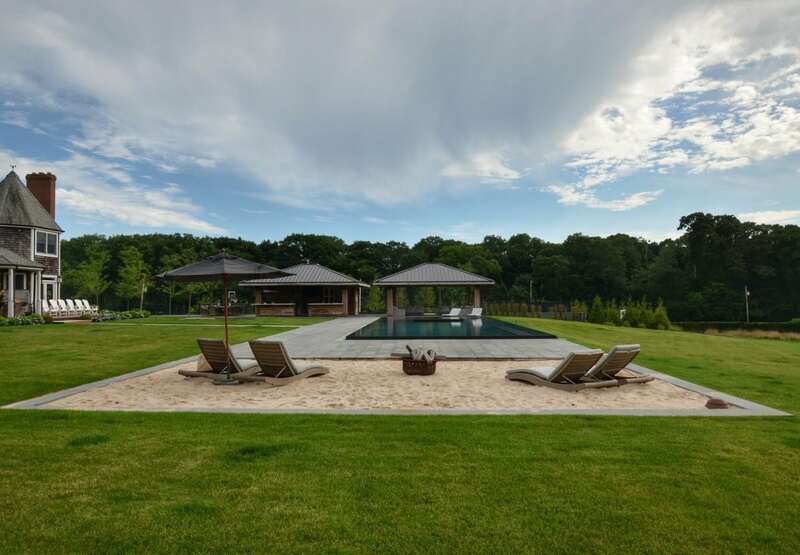 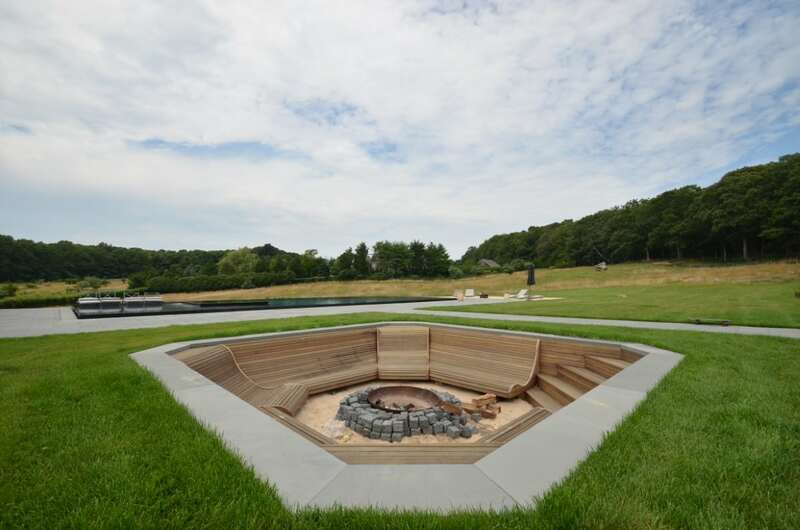 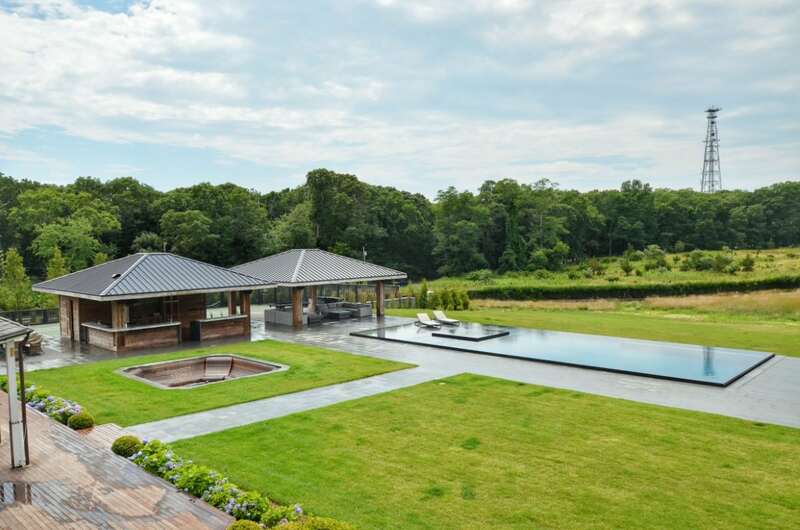 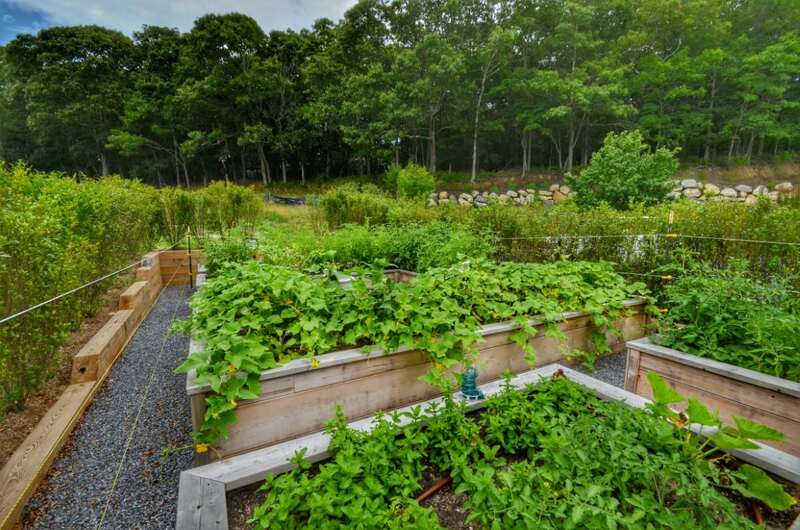 This was a massive custom landscape design and installation on a six-acre property in the Hamptons. 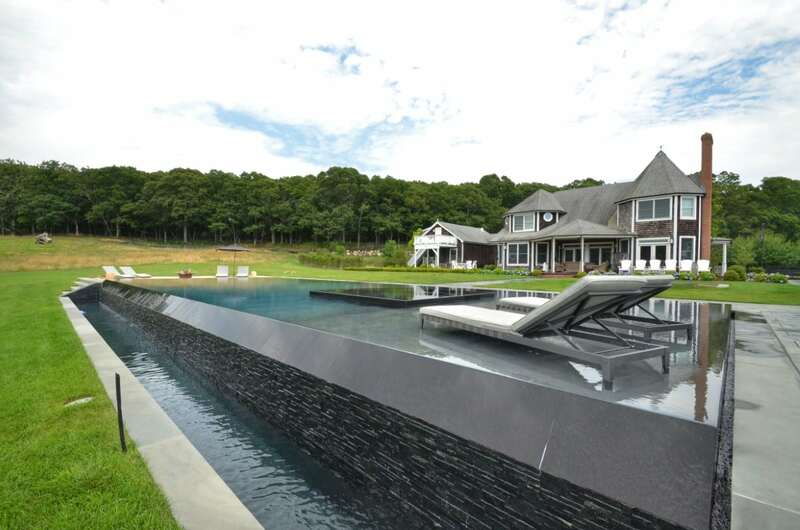 The client wanted the ultimate in outdoor living, entertaining, and activity spaces. 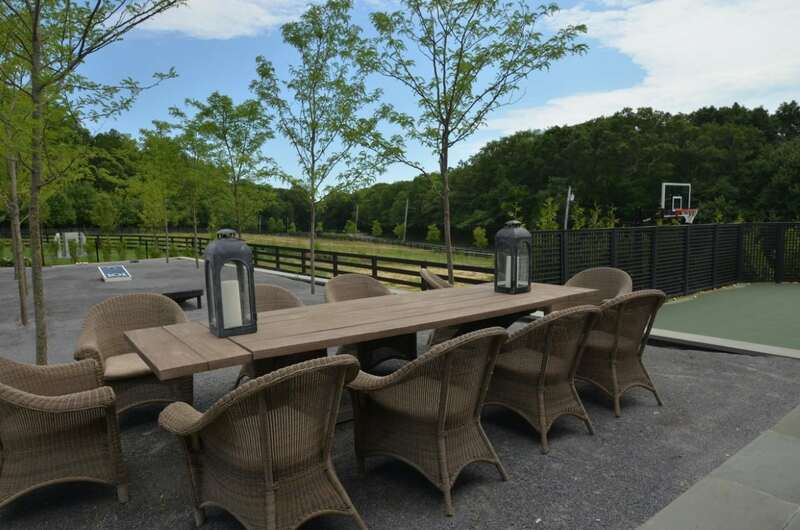 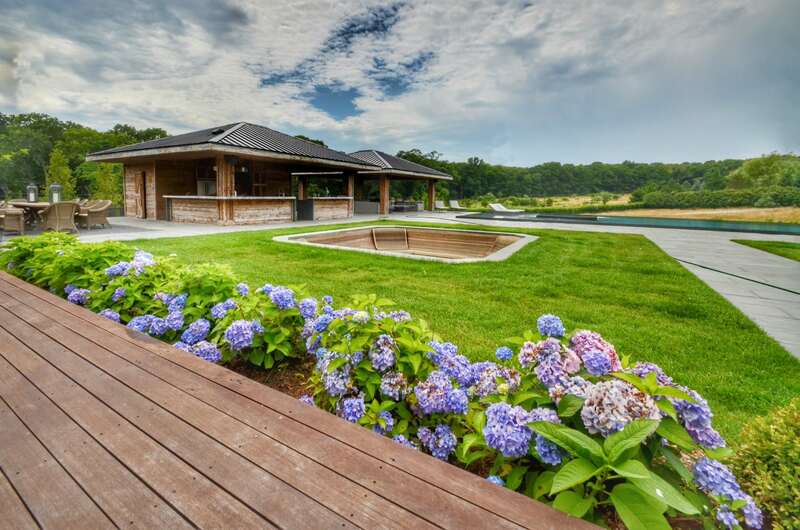 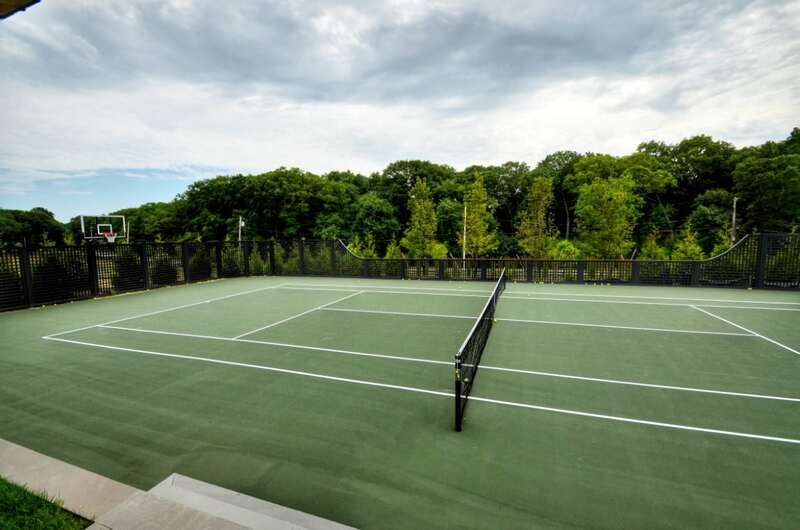 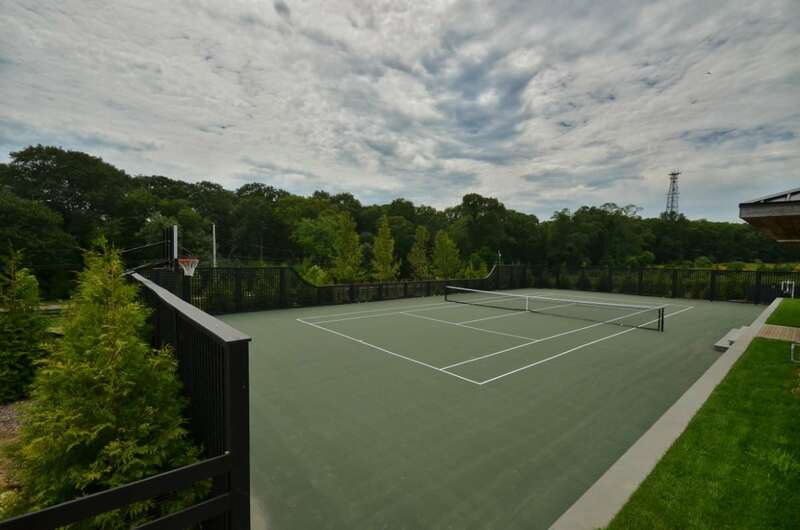 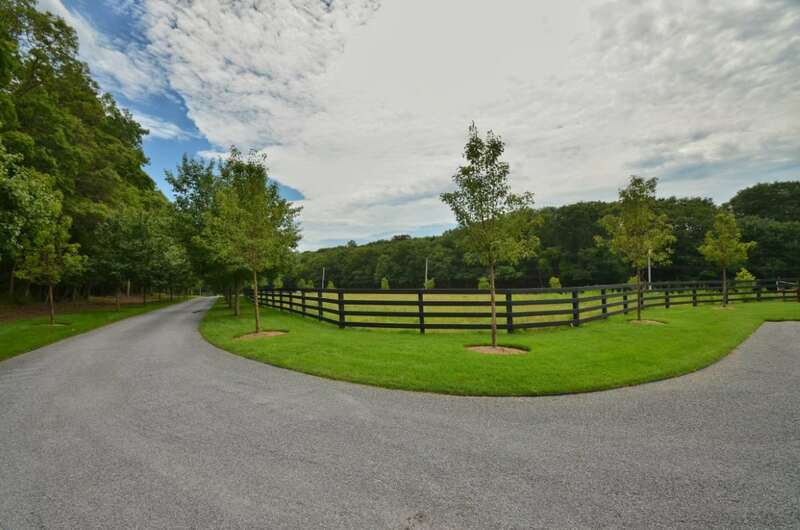 The project Included site grading and drainage, custom gunite pool, custom-built pool house, bluestone paving, stone veneer retaining walls, outdoor kitchen, tennis court, bocce ball court, horse barn, horse corral fencing, automatic entry gates, landscape lighting, horse trail riding path, full property planting, and irrigation. 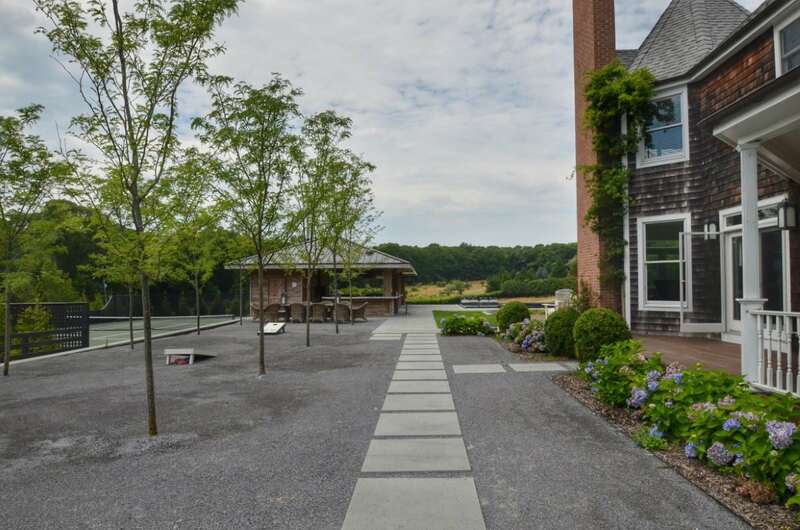 Oil and stone driveway, cedar entry gates and fencing, bluestone paving, bluestone stepping stones, and gunite pool. 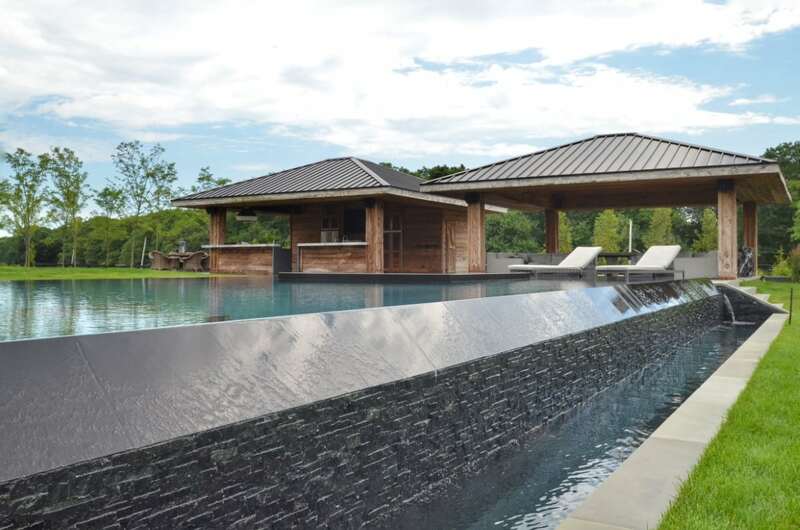 The swimming pool is an original custom-designed mirror pool with waterfall and a 12-person Jacuzzi that sits in the middle. 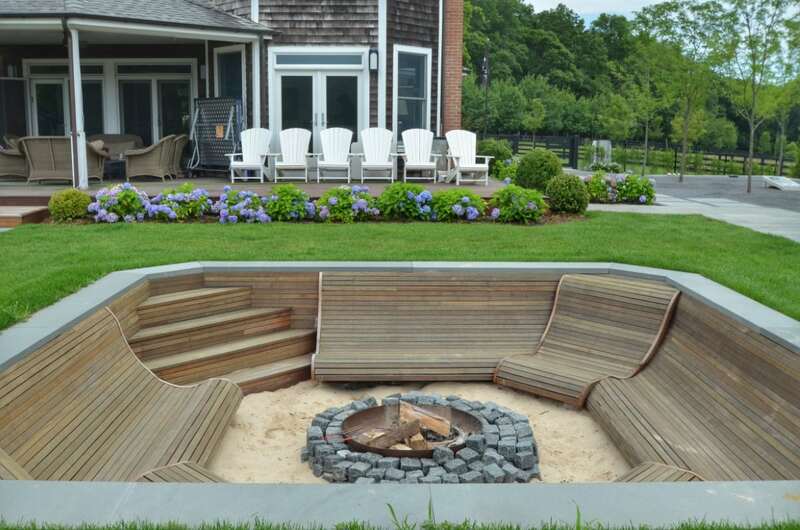 Sand was brought in to create a beach area with fire pit. 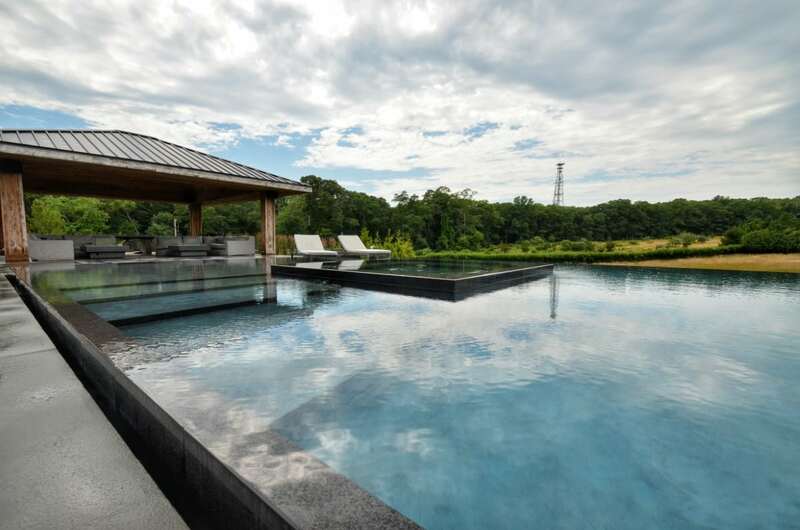 A bluestone patio surrounds the entire pool. 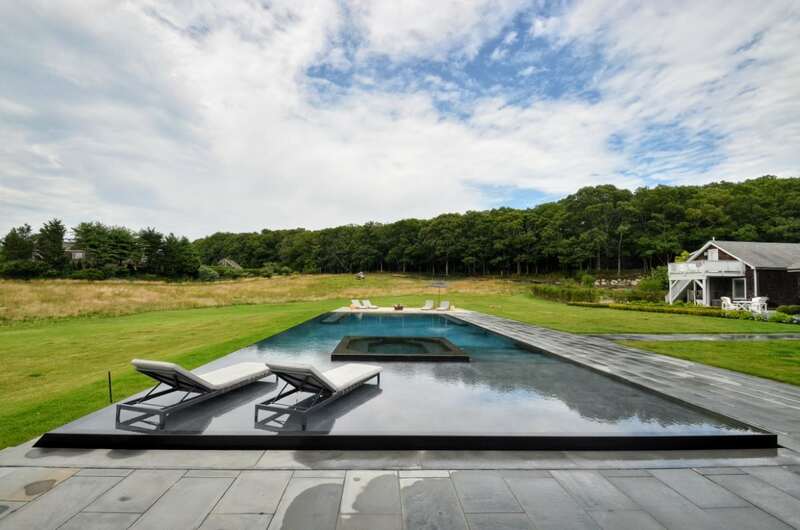 Just above the water line, a concrete lounge chair bench was created within the pool. 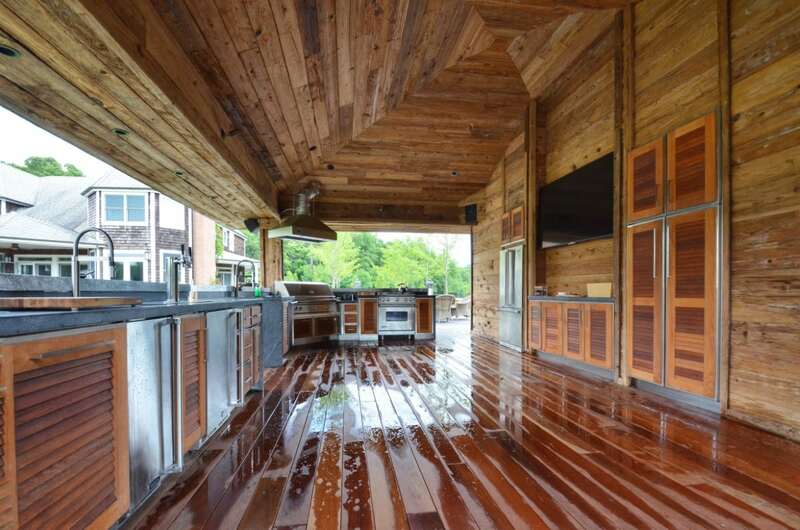 Two large cabanas were designed and created. 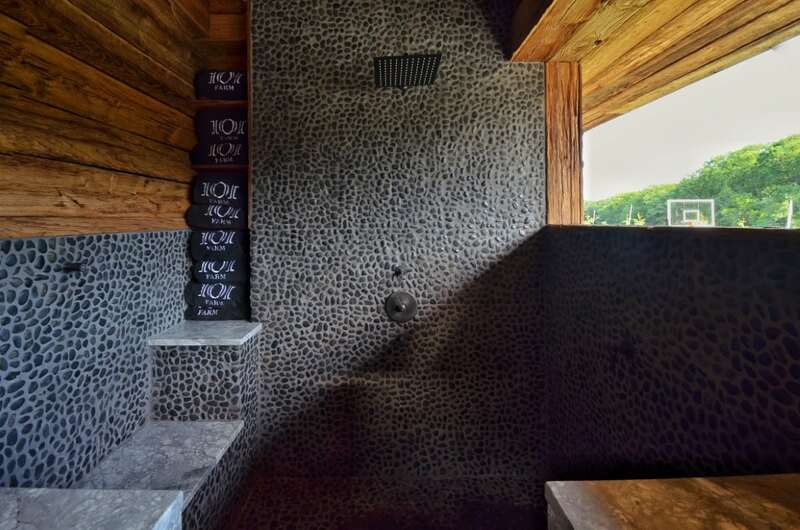 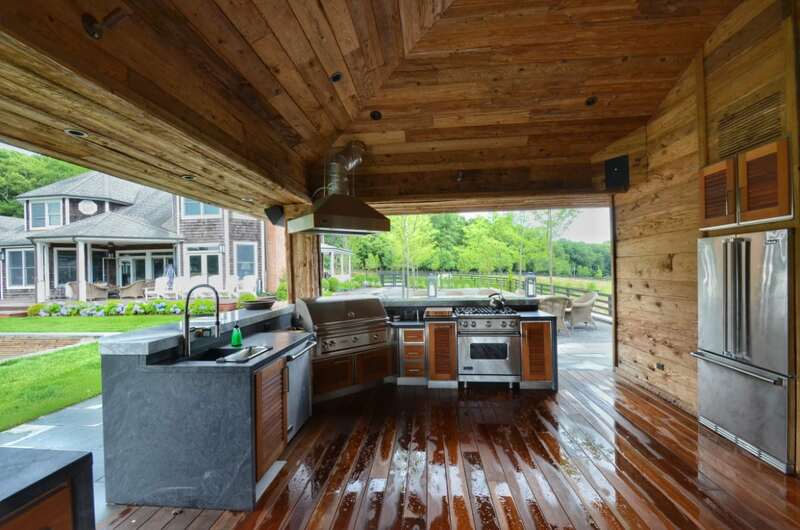 One includes a professional chef outdoor kitchen and the other for dining and entertaining.